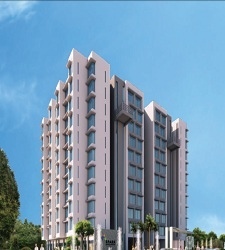 Lodha is coming up with a new building within New Cuffe Parade as Lodha Evoq at Wadala. 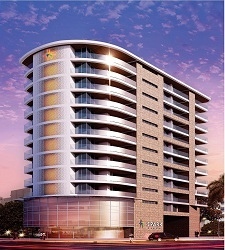 Lodha Evoq is located in the new MMRDA development, a few 100 metres ahead of Imax, at Wadala on the Eastern Freeway. This 23 acre masterpiece by Lodha is indubitably the newest rich kid haven that has garnered a whole lot of attention even before its launch. Known to be one of the most innovative design companies, yoo will design the Mumbai’s signature residences and common spaces of Lodha Evoq which will bear the mark of the world’s most iconic designer, Phillipe Starck. With four towers in Phase one, and six more close on its heels, Lodha’s expansive property is a synergy of old-world architectural charm and contemporary functionality all with interiors by yoo inspired by Starck. Lodha Evoq withiin New Cuffe Parde features traditional reflective pools and cabanas juxtaposed with modern amenities like security cameras, a club house, a green house, sky gardens and 11 swimming pools, all sync together to create an impressive vibe of grandeur. 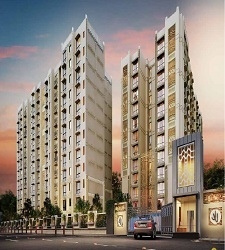 Established in 1980, the Lodha Group is Mumbai’s premier real estate developer. 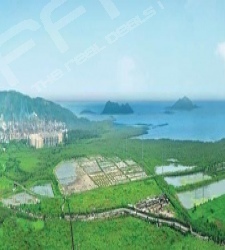 The Group is currently developing in excess of 30 million sq ft of prime real estate, over 27 projects in and around Mumbai, from Napean Sea Road to Dombivali.The Lodha Group has several landmark developments to its credit, including World One - the world’s tallest residential tower; Lodha Bellissimo - the only Indian residential development to feature amongst the top 1000 landscapes in the world; and Palava - 21st century India’s largest planned city, spread over 3600 acres. The Group has also made history by recording the biggest land deal in India till date, buying a plot in Wadala for Rs.4,053 crore, from the Mumbai Metropolitan Region Development Authority (MMRDA).